Gites de La Richardière. 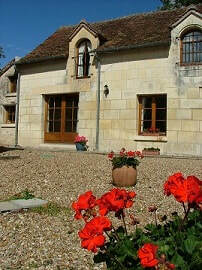 - Holiday Rental Cottages / Gites: BOOK DIRECT: NO FEES: HEATED POOL. 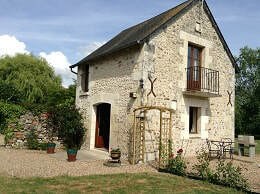 Self-Catering Accommodation, with Swimming Pool, in Central France. Gite for up to 5 people: L'Hirondelle (The Swallow) Click on the image for availability and pricing. ​We're Dave and Patience and we live here at La Richardière. Click on our picture to find out more. Gite for 4 people: Le Martinet (The Swift) Click on the image for availability and pricing. ​REVIEWS: "The setting is absolutely stunning and we loved the peace and quiet away from our usually busy lives." Romantic Gite for 2. Le Pigeonnier (The Dovecote) Click on the image for availability and pricing. There are three self-catering Gites at La Richardière which are surrounded by peaceful and beautiful countryside. The property is over 200 years old and was once a Fermette bustling with cattle, sheep, goats, ducks & chickens. 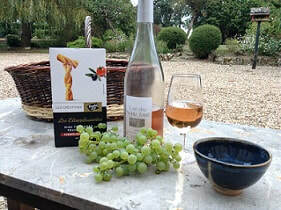 It is is situated to the South of the lovely Loire Valley in the Touraine du Sud. Over the years the property has been carefully restored and transformed into the tranquil haven it is today. L'Hirondelle, Le Martinet, Le Pigeonnier. Outdoor gardens and barbecue areas. Brenne National Park with all its fascinating bird life and fishing.